Rebrickable will show you which LEGO sets you can build from the sets and parts you already own. 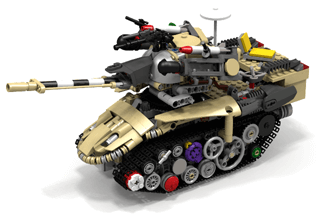 You can choose from official LEGO sets or thousands of MOCs (My Own Creations) submitted by hundreds of designers. 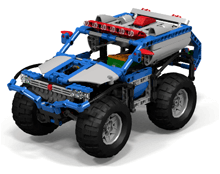 All MOCs include building instructions and full parts lists. I CAN BUILD THIS, YAY! Unless you have a LOT of sets, you will usually be missing a few pieces. 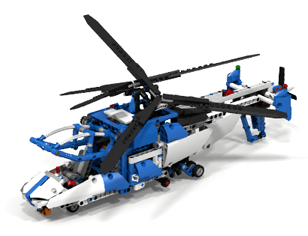 In these cases Rebrickable will show you exactly what you are missing and even provide suggested sets that you could buy which will get you those pieces - effectively showing you how to buy two sets for the price of one! Did your favourite designer just publish a 1000-part masterpiece but you can't afford to buy all those parts? 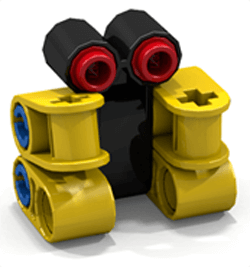 Use Rebrickable to show you which parts you already have and help you to order the rest. There are many MOCs that only use the parts from a single set. For your next LEGO purchase, you might be getting two, three, or even seven models for the price of one! Popular models include 31006 Highway Speedster, 31034 Future Flyer, and 6913 Blue Roadster among many others. All MOCs have building instructions, with many of them professional looking PDF manuals. 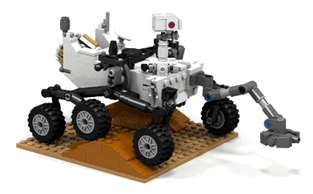 Check out the MOCs from The LEGO Group's designers such as Nathanaël Kuipers and Milan Reindl (Grohl). 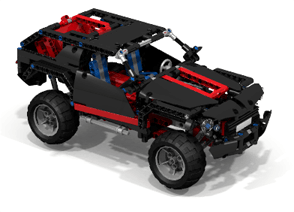 There are plenty of modifications to official sets to be found such as Jurgen's Ultimate 42009 and Tomik's 8041 RC Hot Rod. With just a few more parts you can deck out your favourite set with extra features! Every MOC on Rebrickable has a list of parts and building instructions, so you can be sure that anything you find here is buildable! You may not have every part required, but the beauty of LEGO is that you are encouraged to improvise! 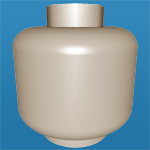 Import your LEGO 3d CAD files and Rebrickable will generate a parts list for them. You can then export the list into a number of alternate formats. You can also find out how much the parts cost and who has them in stock through our integrated parts stores. Or maybe you just want to see if you already have the parts to build it! My name is Nathan Thom and I created Rebrickable in mid 2011, shortly after coming out of my dark age. After buying some large Technic sets, I figured it must be possible to build some of the smaller ones with the thousands of LEGO parts I had. We dont stop playing because we get old. We get old because we stop playing. Set Managers can modify the details or inventories of any set. Junior Part Managers can modify the details of any part such as its description or category. Catalog Taggers can add/remove tags to Sets and Parts (but cannot define new tags). Part Managers can modify the more advanced details of any part such as the mappings used to import/export between external systems, and element/photo images. MOC Approvers can approve new MOCs that have been submitted to Pending status. The approval process may take a few days, depending on the accuracy of the submission! Inventory Admins can create and approve new sets and parts and maintain the inventories on any set. Bloggers can add/edit blog post entries such as reviews. Documenters can edit the Help Guide pages. Moderators can edit/delete any inappropriate comments. 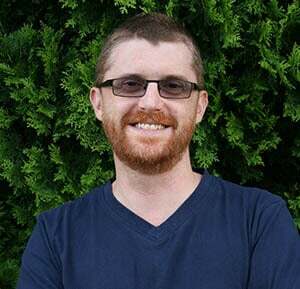 This is the highest level of access and anyone with this role can control all other aspects of the site such as API management, system performance, cache control, etc. These users have reached Level 30 as a result of their huge contributions to the Rebrickable database.